Agrotechnomarket.com - We have aimed to make it easy for the readers to see themselves using the agricultural drones and feeling the benefit of using agricultural drones. We also give the list of agriculture drone prices and hints or tips in product description to make the customers get more detail about using the agricultural drone before it's even arrived. This agricultural drone customer’s guide is for farmers and agriculture service professionals who are contemplating using unmanned aerial vehicles (UAVs) to get the real health of your crops and livestocks. We think this post covers everything you need to know, including the leading drones used for precision agriculture; specifications, popular imaging software packages & services; and the latest Federal Aviation Administration (FAA) regulations governing use of drones in agriculture. If you are excited in flying your own fixed wing or multi-rotor agriculture drone, then this information will tell you everything you need to know to choose and purchase the right UAV for your needs. So, take your time and find out the best agricultural drones posted here that suitable with your needs and allow users to fly with ease and confidence. The eBee SQ is the latest update of the eBee Ag UAVs, a proven, safe operation and popular choice among ag service providers who offer to cover a lot of ground, fast. To date, the eBee series has logged more than 300,000 successful customer flights to date over seven continents. The eBee SQ is a cutting-edge agricultural system that is designed to take professionals such as crop consultants, scientists, growers and researchers from drone to action, simply and efficiently. This performance can cover hundreds of acres in a single flight for extremely efficient crop monitoring and analysis. The eBee SQ enables to fly for up to 55 minutes on a single battery charge and 400 feet above ground level. The eBee SQ is compatible with your existing FMIS, ag machinery and workflow. There is no need to reinvent how you work. The eBee SQ combines the benefits of precise crop imaging with large ground coverage and is fully compatible with existing agricultural workflows. The eBee SQ has capability to capture data across four non-visible bands, plus visible RGB imagery1—in just one flight. With this precise data you can generate accurate index maps and use these to create high quality prescriptions—carefully optimising crop treatments to improve production quality, boost yields & reduce costs. 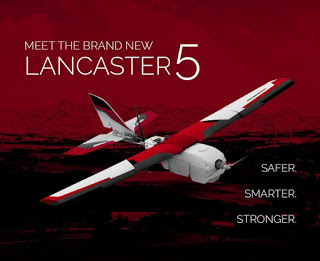 PrecisionHawk is proud to launch the Lancaster 5, the company’s fifth generation small UAVs platform with highly advanced data processing and flight safety operation. 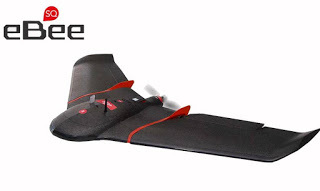 Another very popular choice with ag surveyors, PrecisionHawk’s Lancaster fixed wing UAV carries the widest range of aerial sensors and is the most “intelligent” fixed-wing drone and flight control features that allow the UAV to adjust to various payloads and unpredictable environmental conditions, ensuring optimal data collection with each survey. The Lancaster 5 is added a ruggedized chassis to withstand hard landings on rugged terrain and unfavourable environmental field conditions. In addition, the Lancaster is designed with new tail structures and a longer wingspan making it perfectly suited for agriculture, energy, insurance, forestry and emergency management applications. The Lancaster 5 launches with PrecisionHawk’s new proprietary mission planning software, InFlight. InFlight introduces a wide selection of intelligent operational capabilities that accommodate enhanced situational awareness, smart battery swap and integrated emergency options. 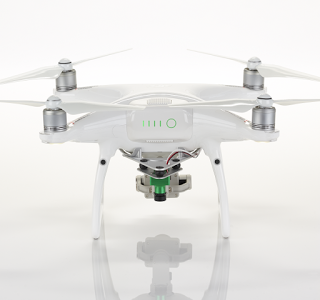 Sentera launches complete DJI Phantom 4 Pro drones that have already been upgraded to produce clear, actionable NDVI data instantly at the field edge — no internet connection required. It is the best solution for those who don’t already have a Phantom, or for those who want a dedicated farm drone. 4 Responses to "List of Agricultural Drone Prices"
There are sure ranges where it is prohibited to fly a drone.big rc helicopters reviews A case is inside 5 miles of an air terminal.